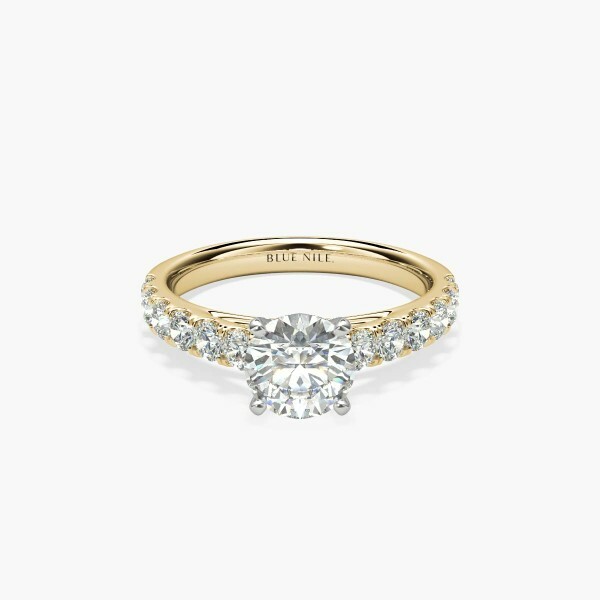 This diamond engagement ring captures the classic elegance of our Riviera collection. Crafted in gleaming 18k yellow gold, raised cathedral shoulders feature pavé-set round brilliant-cut diamonds. Platinum prongs showcase your choice of centre diamond.